Earn $0.74 in Rewards credit (74 points) What's This? 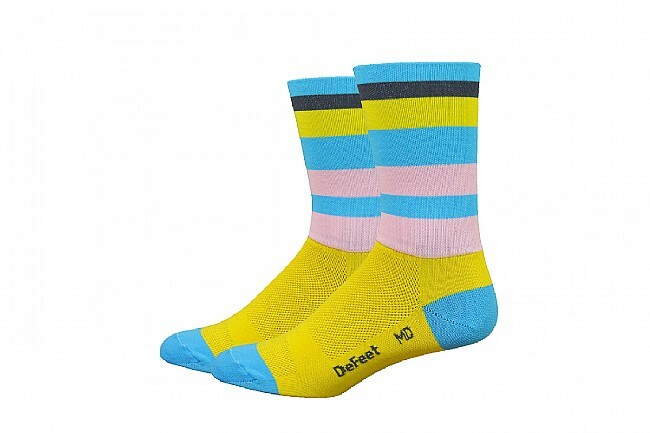 The Aireator® is the original DeFeet sock, keeping athletes' feet comfortable and ventilated for years on end. These durable performance socks are knit with CoolMax® EcoMade™ fibers for excellent moisture-wicking, while the open-mesh ventilated top-foot provides superior airflow, giving the Aireator® its name. The lightweight construction makes them a good option for close-fitting cycling shoes, while a reinforced heel and toe still ensures long wear. 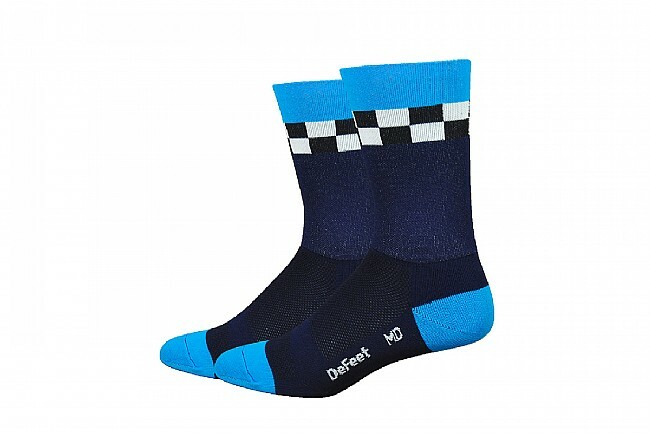 This 6-inch version uses DeFeet's Double StayFast cuff for a slightly thicker knit and more secure fit on the leg.